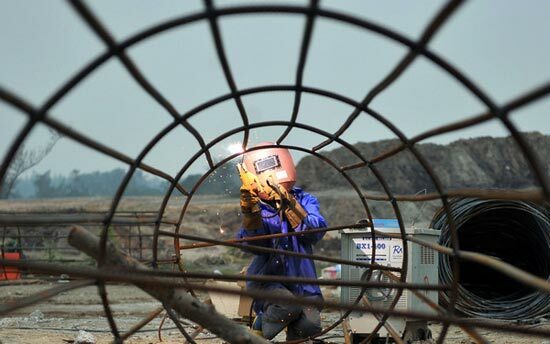 The construction of the Wenchang Satellite Launch Center in Hainan province, from where China will launch new-generation carrier rockets and future space station modules, is expected to be completed in June, the province’s economic planner said. By the end of this year, the launch center, the fourth in China, will be ready for launching carrier rockets, according to a report released by the Hainan Development and Reform Commission during the ongoing annual session of the provincial people’s congress. Of the 3.3 billion yuan, 2.5 billion will be used for the center’s construction, the report said. The Long March-5 launch vehicle designed for transporting heavyweight satellites and space station modules, as well as the Long March-7 rocket designed for launching cargo spacecraft, are expected to blast off from the center in 2014, the Beijing Morning Post quoted Liang Xiaohong, deputy director of the China Academy of Launch Vehicle Technology on Saturday during the annual session of the Beijing municipal people’s congress. Wenchang Satellite Launch Center, located on the northeast coast of Hainan, about 60 km from Haikou, the province’s capital, is the only coastal launch center in China. It can use nearby ocean ports in Wenchang for rocket deliveries. The location, about 19 degrees north of the equator, is suitable for launching geosynchronous satellites, heavyweight satellites, large space station components and lunar and interplanetary missions. China has three satellite launch centers: one in Xichang, Sichuan province, one in Jiuquan, Gansu province, and one in Taiyuan, Shanxi province. The park will give visitors a tram tour of rocket launch pads and offer space-travel attractions, such as a moon-themed train ride and cosmos-themed roller coaster. The park’s interplanetary section will be divided into four themed areas — Earth, Lunar, Solar and Martian. Pei said although the construction of the Wenchang Satellite Launch Center and its relevant facilities is a difficult task, it will enhance the reputation of Wenchang and Hainan around the world. Construction of the center was approved by the State Council and the Central Military Commission in 2007.